One of the most used and abused words for the past 3-4 years in E-Commerce in India and all over the world is “Hyperlocal”. What exactly is Hyperlocal retailing? How does it help customers? 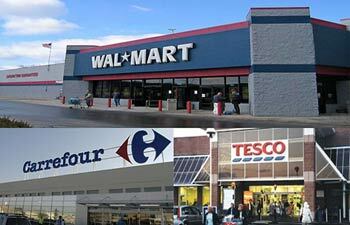 What value addition does it provide to Retailers? Is it a viable business option? Let’s explore. The Indian Retail Industry is estimated at $500 billion with over 1.30 billion people in the country. 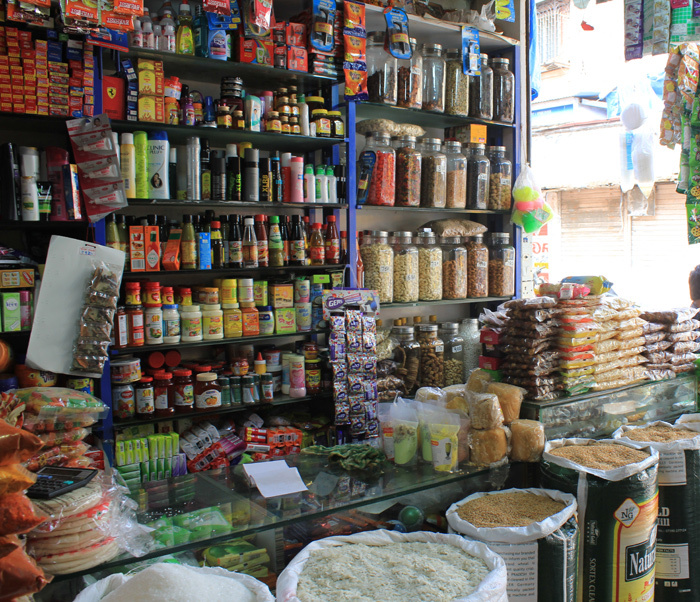 Out of this less than 12-15% is Organized while the rest remains with traditional businesses such as Kirana Stores, Mom & Pop stores, road side vendors, etc. While Retail has seen a CAGR of over 15% over the past decade, it is E-commerce that has grown leaps and bounds in the recent decade, thanks to Wall Street Funded companies who morphed themselves from being mere technology companies to retail behemoths that they are today. Within the E-Commerce Retail Startups as well as a few established ones, Hyperlocal Players are the buzz of the day, what with a new one commencing operations every day for another that shuts down almost every day. 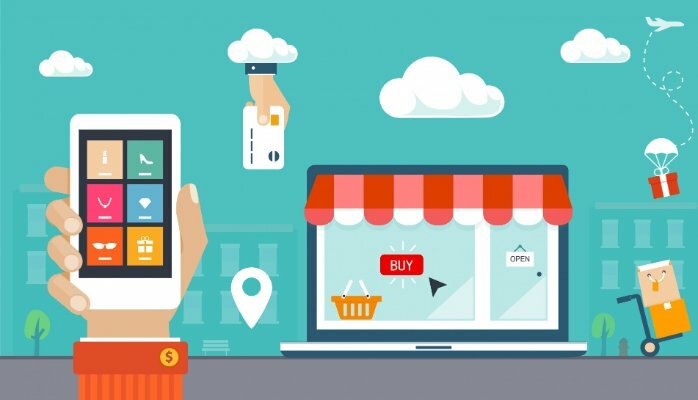 The term has been coined to connect offline retailers in a locality to customers in the same locality, but through digital means. This is nothing new, honestly. Through the late 90s (in India) when we witnessed the highest landline telephone penetration, it was common for customers to call a nearby Retail store and request them to deliver products for immediate use. During the early & mid-2000s, it was the mobile phone boom where household maids, servicemen like Plumbers, Electricians, Carpenters and many more were available over a call. The world seem to be lot more connected and we all loved it. It was early 2014 and we saw a slew of technology companies building websites and mobile apps that connected customers to shops and service providers over a click of the button. Honestly, this was nothing new compared to what “Just Dial” and “Yellow Pages” were already doing. Even neighborhood newspapers were in a way Hyperlocal, connecting local services and people to customers in a particular locality especially for finding rental accomodations. It is quite amazing to see that Hyperlocal has suddenly become a billion dollar opportunity with a lot of Investors throwing money at such start-ups. Most of the large Hyperlocal companies that took heavy funding have left the space, notable among them being “Ask Me” which had not only shut down a few months back but also headed in to legal troubles with outstanding payments. Retail stores (the ones Zomato put up initially) bring a lot of visibility and access to customers. The startups pick from the nearest store and deliver to customers in the shortest possible time thereby increasing merchandise offtake for Retailers. Sometime, it is the simplest task that is complicated the most. Hyperlocal Retail is one such example. How does Hyperlocal Apps work? Hyperlocal Apps connect nearby stores and service providers on their app and act as an aggregator. When a customer looks for a product or service, the offering in the neighborhood shows up usually with a cost / time attached to it. For example, if a user is looking for a carpenter, the app shows how much time it would take for the Carpenter to arrive and also the cost per hour / relevant charges. Similarly, when a customer is looking to order tomatoes or rice bags, vegetables or household articles, the app would show up the product, their prices and estimated time of delivery and convenience charges, etc. It is a presumption while building a Business Plan for a Hyperlocal App that such customers will continue to order from the app regularly while also adding new customers everyday. And over time, the App keeps adding more and more retail partners and service providers while also expanding the geographies served. Trust me, it is viable. I have done the maths and it is actually possible to make money with a Hyperlocal App. They key here is not the idea or the strategy but the execution. With my own Hyperlocal app Oyethere, I have experimented various means through which we reach out to existing and prospective customers. While both are tough (meaning retaining & adding customers), it is quite possible to get the business going through innovative ways of sales outreach. 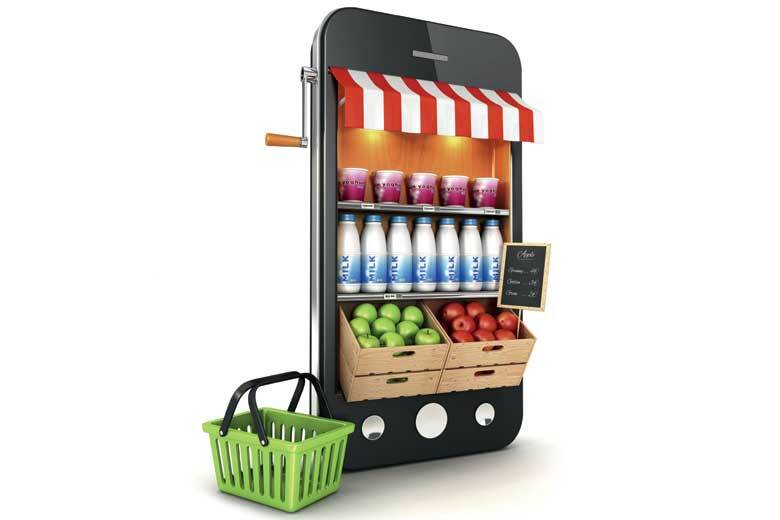 For this, we need the unstinted support of the Retail Store, which is the key in making a Hyperlocal App successful. Most times, we have seen Hyperlocal App companies splurge on mainstream media and attract a lot of PR while the business remains in the lurch due to execution issues. At a unit level, the app makes a margin from the Retailer, so while the volumes increase, there is a business break-even. The only challenge here is how much to “invest” in acquiring and retaining the customer and controlling overall marketing spends. Are Offline Retailers ready for Hyperlocal? At the face of it, Retailers do not support Hyperlocal Apps because they believe the proposed digital marketplace is lethal and could do a lot of harm to their businesses. But it is not. When a customer looks up a product on the app, they would merely choose the one that suits their need – Brand / Retailer-connect, Time of Delivery, cost of the products and convenience. If the Retailer doesn’t stand up to all these measures and based on a permutation by the customer, the choice of Retailer varies and there are chances that a few non-performing ones may get pushed back. Indeed, it is quite interesting that a few Retailers are experimenting Hyperlocal. Food Bazaar and Hypercity work closely with Amazon Now; Heritage Fresh and Spencers have their own Apps which is being tested in a few markets. However, aggregating Kirans remains the biggest opportunity here while the greater challenge is that they do not make enough margins to be shared with the App aggregator. The same applies for Service Providers on apps like Urban Clap. The market is ready, just waiting for Retailers to catch-up on them. Let’s hope. From shopping grocery at Kirana stores to Government Ration Shops to one of the first organized retail shops in India to the supermarkets and hypermarkets and finally now with my own mobile Apps for Grocery, I would say I have been lucky to see them all. My tryst with Grocery shopping is cut to the early 90s when I would accompany my father to the state-run TUCS shops and PDS shops and bring, rice, dal & kerosene kept on the back of our bicycles. During the late 90s, a retail shop named Subiksha opened in the heart of South Chennai – a store similar to a PDS but a bit modern with staff in uniform who assisted customers with their shopping needs and a computerized bill to support the transaction. I remember cycling 5 kms to buy 3 kgs of sugar, which would save us 10-12% than buying from the neighborhood Kirana shop. I used to be amazed at how shopping was revolutionized in the late 90s with the advent of “Shop n Stop” a modern retail store close to my house in Royapettah that encouraged self-service, which was not just a fancy thing but also a very convenient one. I was fortunate in the early 2000s to join and work with RPG Retail’s Foodworld Supermarkets, which was one of the earliest organized retail stores in India. From consumer offers to world class shopping experiences, the company paved the way for future entrants with this format of retailing. When I joined the Future Group, I witnessed how a humble 1,500 sft of a supermarket had morphed itself into a hypermarket with Food Bazaar spread over 10,000 sft at its largest outlet then in 2004 and that too on the fourth floor of India’s first seamless Mall, Bangalore Central. Till date, our family has shopped only at Food Bazaar in over 95% of cases. That’s some loyalty, rather just the convenience of shopping the entire household I would say. Late 2000s was the challenging periods for Retail, although not as worse as what we’ve been witnessing for the past 24 months. Hypermarkets reduced their sizes and have found the 4,000 sft model as their sweetspots and are still tweaking their models. Since the turn of the decade in 2010, we have seen online retailers come and go and behemoths like Big Basket stay on with a supposedly proven model. I would like to cite the example of IBuyFresh.com which was the online effort of Kovai Pazhamudir Nilayam, a Coimbatore based Retail store that started with fresh Fruits & vegetables and later moved on to the Grocery & Household segments. The e-commerce start-up, which was serving over 800 orders a day in just 6 months of commencing shut down abruptly one day due to viability issues. Others like Peppertap and Local Banya raised millions of dollars to eventually shut down their ventures leaving smaller players like my own Hyperlocal start-up Oyethere.com in jeopardy, what with Investors sitting on the fence not wanting to experiment on new models any further. Much has been spoken about Amazon’s self-service, self-check-out store in America which is a dubbed as a smart-store where customers pick products off the shelves which get billed while picking-up and the check-out is super quick with just a tap of their credit cards or mobile phones (NFC payments). Grocery shopping worldwide and in India has been seeing a lot of new opportunities, of course with challenges but perhaps, remains the most interesting retail format. 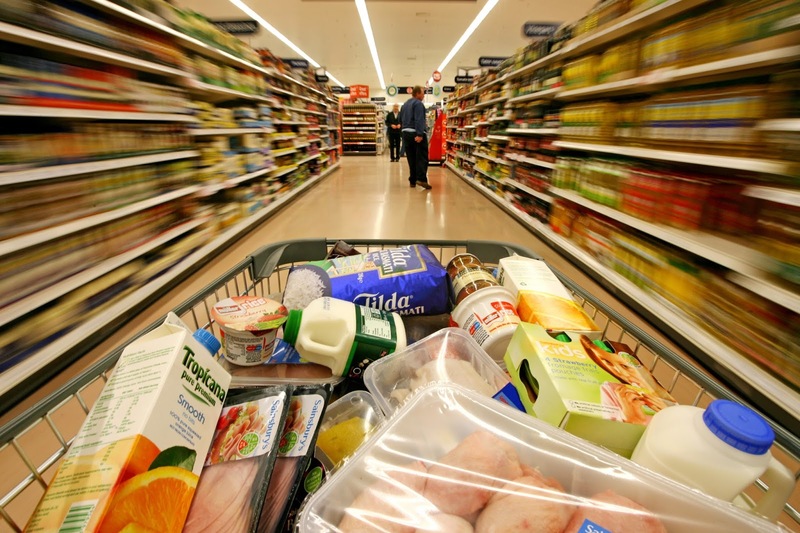 Much has been spoken and written about the opportunities and perils of allowing Foreign Direct Investment in Retail, especially in the Food & Grocery business. 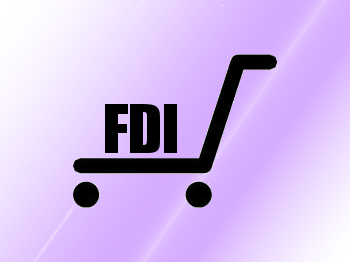 At the moment, only locally procured farm goods and other products manufactured in India can be sold in organized retail stores with FDI. Unfortunately, the top Food Retailers in India including the Future Group, Reliance Retail, RPG-SG led Spencers Retail, etc. do not have foreign investors. Most of the retail chains are reeling under heavy losses and have not been able to scale their businesses beyond existing geographies. Carrefour and Auchan have shut shop while Walmart has severed it’s tie-up with Bharti Retail and is on it’s own for a while now. Tesco has always had a back-end arrangement with Tata Retail and it continues to be just that. And there is no news of any other international Food Retail chain getting into India in the near future. 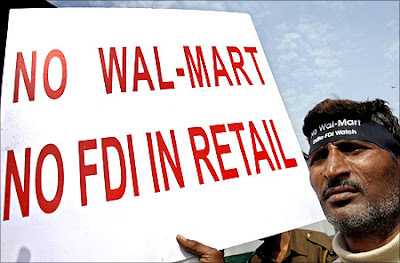 Interestingly, Amazon and homegrown start-ups Grofers and Big Basket have applied FDI proposals to FIPB for operating in the food & grocery space, perhaps in e-commerce, which is gaining ground every passing day. Big Basket started operations in 2011, is well funded at the moment and works on an Inventory model in gross violation to existing FDI rules. BB has a warehouse where its products are purchased, sorted and stored. 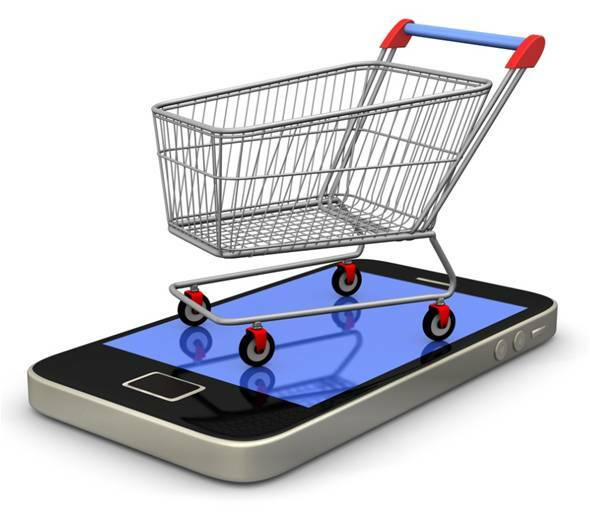 Customers order online/mobile apps and BB delivers the said products from their Warehouse to customers at their doorsteps. BB also procures products from local retailers for quicker delivery and for items that they do not carry. Needless to say, BB hasn’t made a single penny in profits and continues to mount losses. Grofers started similarly as Big Basket and built ghost stores (outlets with products but no name board and consumer shopping) but then modified its business model to a Hyperlocal model where it currently picks products from neighborhood stores and delivers to customers. Others like Peppertap, Zopnow, etc. have tried their best raising Investments but have failed to make a dent and have shut shop or have morphed in to delivery companies. Amazon Now currently operates only in Bangalore and is app-based. Customers order on the Amazon Now Mobile app and Amazon picks the products from The Future Group run Food Bazaar & Shopper’s Stop’s Hyperlocal format “Hypercity” Stores and delivers products to customers in a scheduled manner. This is the entity perhaps to whom the FDI license is being sought for. Incidentally, I have been operating “Oyethere” which has a website and mobile apps on Android and iOS which are not only Hyperlocal but also Convenience formats. Customers can order products from our website or apps and we pick products from the nearest Retail outlet with which we have tie-ups and deliver to customers in 30-300 mins which is our Unique Selling Proposition (USP). We have been around for a year and half now with minimal investments and are on the verge of getting well funded shortly. Food Retail is a hot space both offline & online Retail and we are playing a wait & watch game with what the Modi-Government is up to. Let’s hope for the best. Have you felt that the restaurant where you spent a few hundreds or even thousands provided a great meal but the service was basic, if not atrocious? Have you experienced cashiers without any life at cash tills in supermarkets who hardly look at the customers faces? Have you encountered sales staff at apparel boutiques who are not interested to show you varieties of merchandise? Have you seen sales staff at a mobile retail store who are more engrossed in their own smartphones playing games or watching Youtube than serving you? There are many such examples that we could discuss in detail and the prime reason for this is that the Retailer has provided limited or nil empowerment to the staff. I had a similar example this morning. I was at Café Coffee Day Ispahani Centre (Chennai) with a guest and we ordered two cold beverages which arrived fashionably late after 10 minutes. One sip and the Frappe was lesser by a quarter. In 3-4 minutes my drink was over! And it was meant to be a cold drink. After a while, I went to order a Cappuccino and again had issues with the staff who were novices and were under training while the senior guy was not around. When he appeared suddenly I told him about the cold-less Frappe and he just gave me a blank look – nothing more. No apology, no offer to replace the drink, nothing. I wouldn’t blame him. This is how most of our large Retail chains work who are facing severe challenges in employee management. While we could debate what the staff in the above example could have done, I think the issue should be addressed at the Corporate level than at the store level. 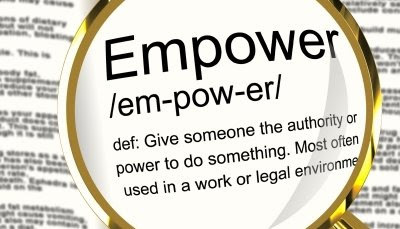 Worldwide, many retail stores, especially in services businesses such as food and entertainment have given a lot of empowerment to their staff across hierarchies. For example, walk in to a Starbucks and order a drink – if you didn’t like it and inform the guys behind the counter, they would just replace it without battling an eyelid. Yes, there could be some cunning customers who do it purposely to give a try for some new beverages, but “Customer Delight” which we discussed in the previous article is foremost for such Retail Brands than the few sour apples. Indeed, many small and medium retailers have empowered their staff immensely and I must give credit to such Entrepreneurs as well. It is not without a reason that some brands have grown their businesses immensely while established ones falter. Even large retailers are empowering their staff. Case in example: The Store Managers at The Future Group outlets are designated as “Kartas” not without a reason. Karta is the official name of the person who heads a business managed by a Hindu United Family (HUF) and the Future Group has just taken a leaf out of it. The Karta of a Future Group is fully empowered to take decisions pertaining to his/her store, ofcourse what’s within their areas of power & consideration. There is inertia among Business owners to empower their staff due to trust deficit and employee dependability. 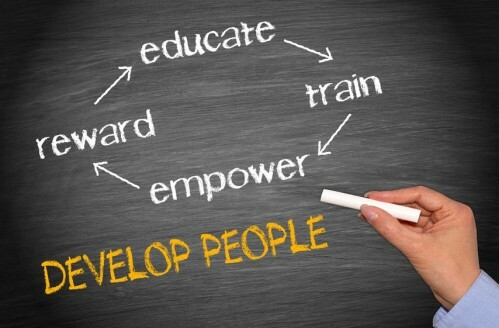 However, with the right coaching & mentoring, this can be very well be overcome and businesses can indeed succeed.